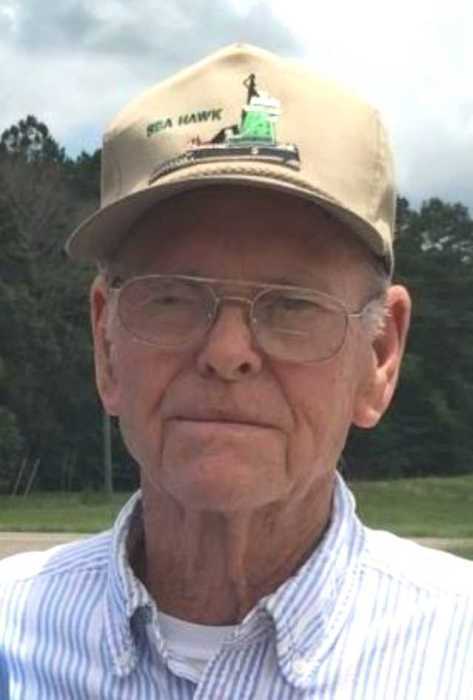 Mr. Lawrence "Jack" Stokley, 83, of Millry, AL passed from this life Thursday, January 31, 2019 at Washington County Nursing Home in Chatom, AL surrounded by his loving family. He was born in Silas, AL on Saturday, October 12, 1935 to Slater and Dessie Stokley. He was a member of Cheryl Lankford Ministries. He was retired as a supervisor for the Town of Millry. Mr. Stokley is preceded in death by his mother, Dessie Stokley; father, Slater Stokley; 2 brothers, Clarence Stokley, Jerry Stokley; 3 sisters, Clarice Loper, Eunice Eddie, Lessie Bridier; grandson, Joshua Stokley. He is survived by his loving wife of 57 years, Carolyn Stokley, Millry, AL; 3 sons, Jackie Stokley (Denise), Mobile, AL, Tim Stokley (Lisa), Millry, AL, Terry Stokley (Tina), Waynesboro, MS; 3 brothers, Leon Stokley, Silas, AL, Johnny Stokley, Chatom, AL, Dennis Stokley, Milton, FL; sister, Francis Shirley, Laurel, MS; 7 grandchildren; 1 great granddaughter. Visitation for Mr. Stokley will be held from 5:00 PM to 9:00 PM, Friday, February 1, 2019 at Freeman Funeral Home in Waynesboro, MS. Funeral Services will be held at 2:00 PM Saturday, February 2, 2019 at Freeman Funeral Home in Waynesboro, MS with Rev. Cheryl Lankford and Rev. Michael Elliott officiating. Interment will be in Edgar Cemetery in Silas, AL.